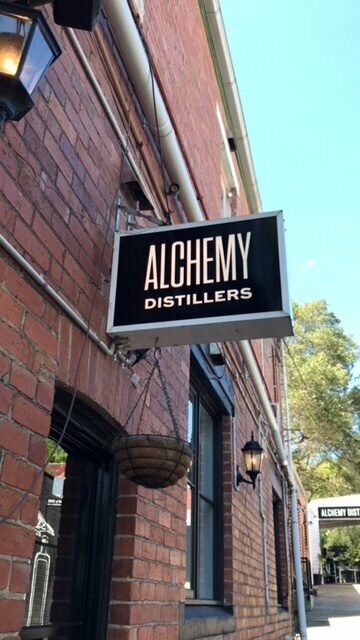 An incredibly fitting name for Healesville’s surprise new hotspot, Alchemy Distillers. 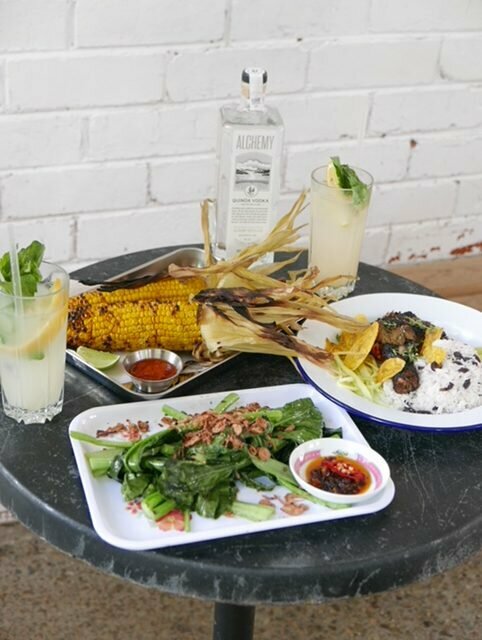 bringing a distillery, an eatery and accommodation to lovely Healesvilles’ main street. 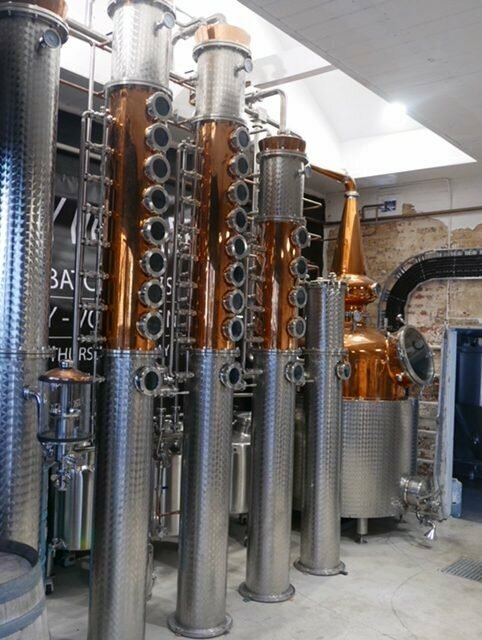 The converted century old bakery (you can still see the ovens) is the brainchild of passionate business partners Evan Kipping and Jannick Zester and is currently experimenting with fun and whimsical style spirits that can be bought by the bottle, wholesale or tasted in some delicious cocktails served on site. 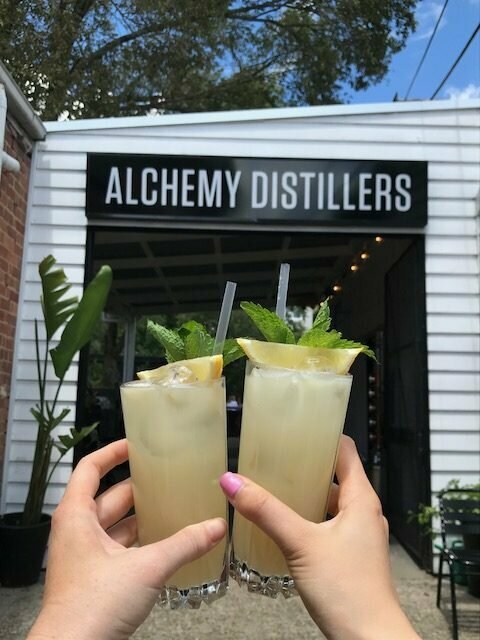 Perhaps the most inspiring part about this duo is that neither of them have ever been in the distilling business before, and both openly admit this. 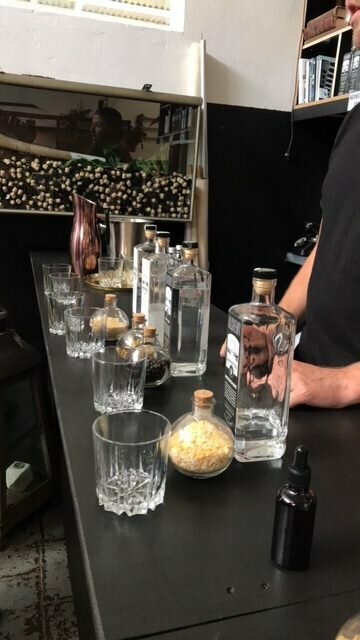 Everything they have created has been through teaching themselves and some good old trial and error, which makes for some great stories whilst having a tour of the distillery and tastings. 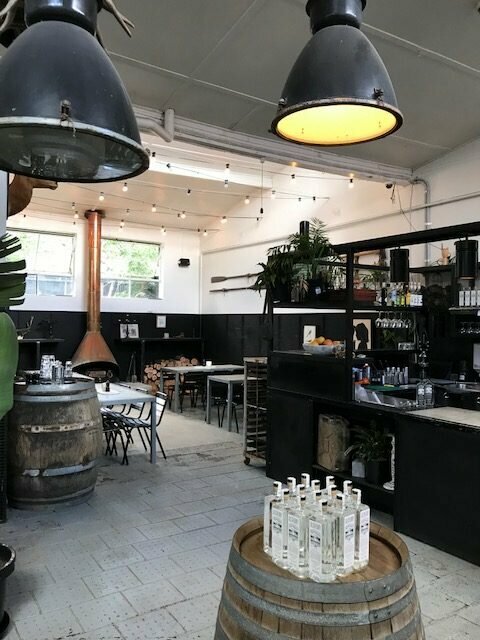 The space itself is everything you look for in the Yarra Valley. 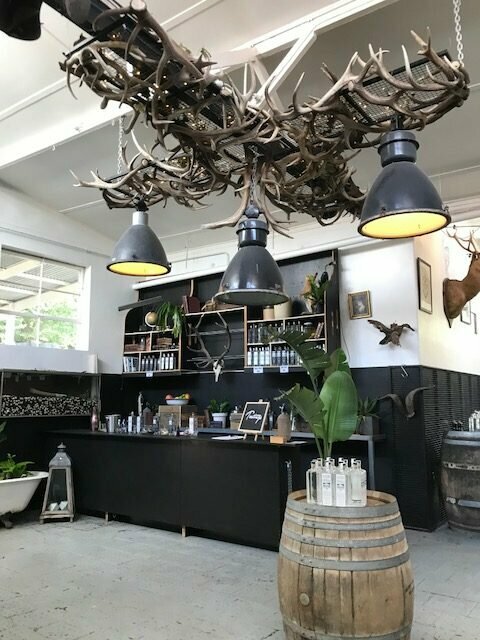 Warm, cosy and inviting on the inside, a rustic and organic style with a country touch and an open fire; as well as a gorgeous greenery filled outdoor area with plenty of space for quiet drinks, family gatherings or functions. On a weekend, you are likely to catch an acoustic musician in the outdoor space. 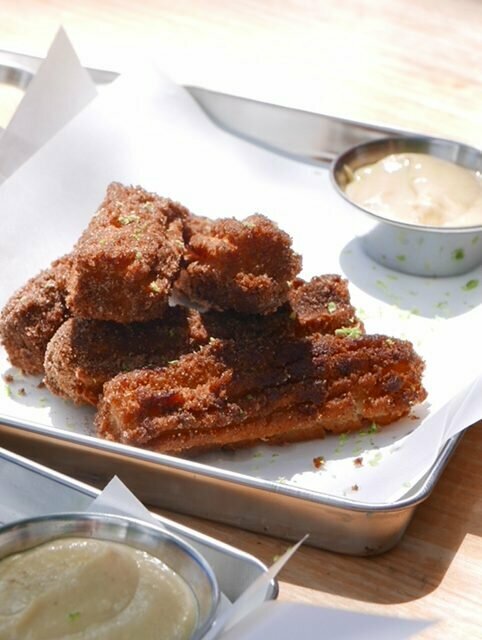 Food-wise, Alchemy has partnered with Three Triple 7, a local street-food truck, who are serving up rotating street food menus over the year. 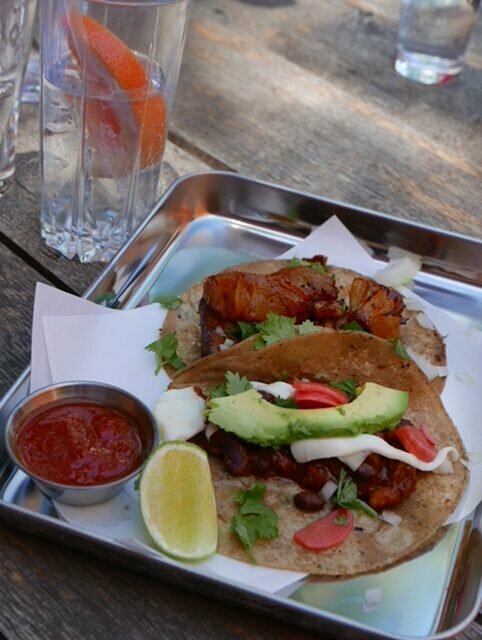 The American BBQ is on its way out, making room for a new South American street food menu that we were lucky enough to get a sneak peek of. 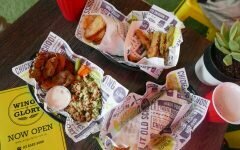 My suggestion: do not leave without trying the churros! Above the distillery is a two bedroom arty apartment that can be rented through AirBNB, the perfect place to stumble home to after tasting one too many spirits. This hidden spot is one to watch- add it to your list for day trips from Melbourne, or make a cheeky weekend of it. 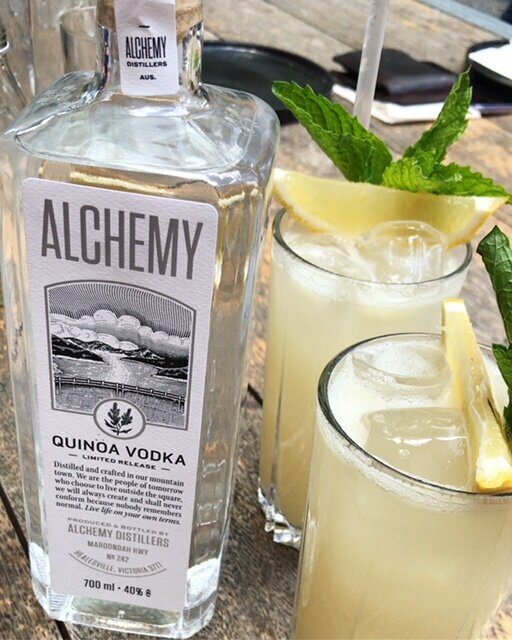 For more info, or to make wholesale enquiries, visit Alchemy’s website here. 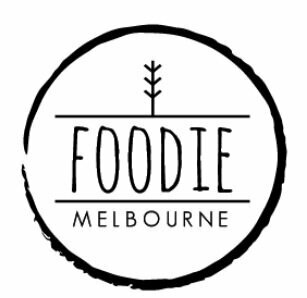 Please note: Foodie Melbourne experienced Alchemy as a guest, but all opinions are genuine.